Get Your Nutrition in Check with Balanced Chef Now at Elevate Fitness! BETTER FUEL FOR A BETTER LIFE! That’s the mission for an amazing company out of the Utica, NY area called Balanced Chef. Elevate Fitness excited to partner with The Balanced Chef after searching long and hard for the ideal nutritional solution to offer our members and guests. We believe that in order to be your best and achieve your fitness goals, you MUST have a nutritional plan in place to support the work you do in the gym. You can’t out-train a bad diet. We also know that our members lead busy lives and don’t always have the time to meal-prep or to find the best options for meals on the go or after a long day of work, family and exercise. Enter Balanced Chef. 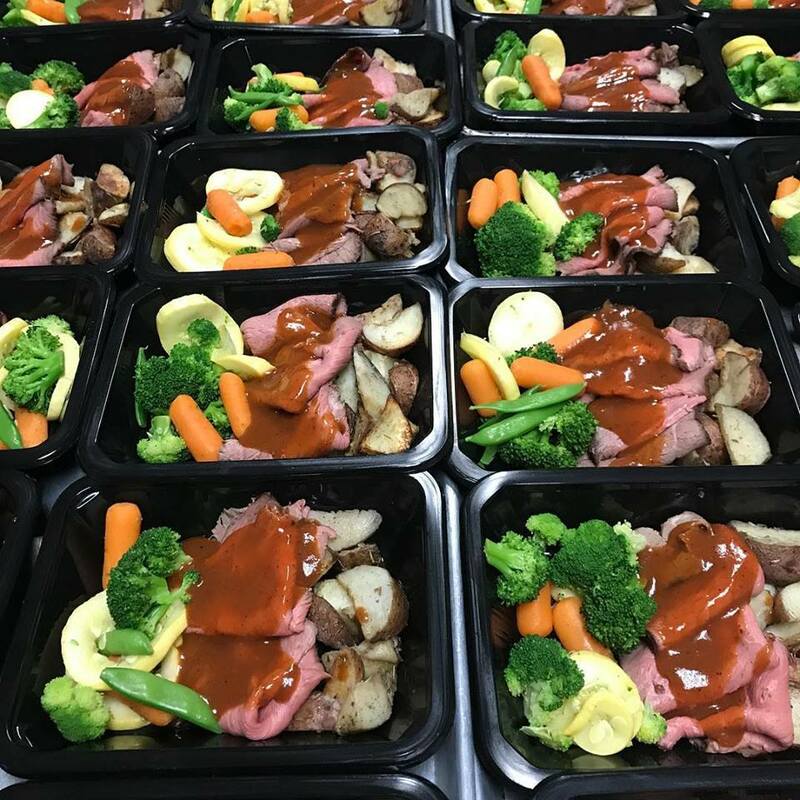 This local business offers hand crafted, chef prepared meals that are guaranteed fresh and include macronutrient and caloric information, making it simple to track intake and optimize nutrition. Simply pop the meal in the microwave (usually) for the recommend amount of time, and when you’re done you have a delicious, chef-prepared meal that not only doesn’t work against your fitness efforts, but enhances them. With a variety of dietary options, The Balanced Chef has an array of delicious, healthy meals available to satisfy the nutritional and lifestyle needs of everyone, with a menu that changes weekly. And these aren’t the bland, boring, repetitive meals you might expect when you’re looking at healthy meal options – these are delicious meals that will leave you feeling satisfied and content. There are a couple of different ways to experience Balanced Chef at Elevate Fitness. Each week (starting Monday, March 25th) we’ll have a limited number of grab-and-go meals available for purchase in the clubs. However – once they’re gone, that’s it for the week. 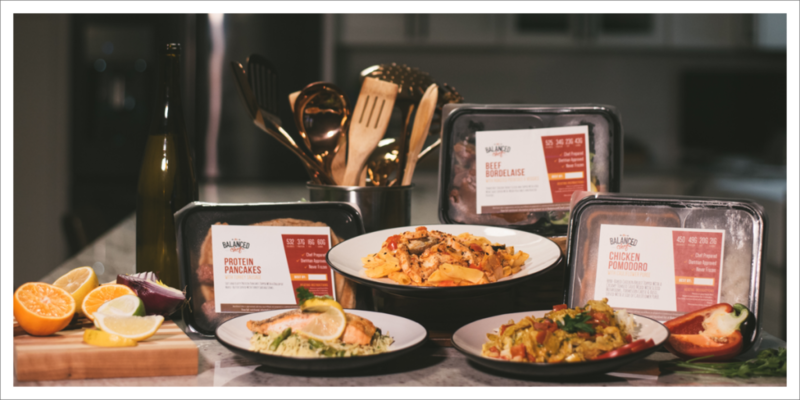 The best way to ensure you get what you want is to order your meals ahead of time through Balanced Chef’s easy to use and navigate website and then they’re available for you to pick up at Elevate the following week. The ordering deadline is Monday at midnight of each week. Choose Elevate as your pick-up location when you’re checking out and then sit back and congratulate yourself on taking the guess work and drudgery out of making nutrition a priority in your fitness and wellness journey! Interested in nutritional counseling and customized meal plans? Those are also available at surprisingly low rates through Balanced Chef! Check it out! Not a member of Elevate Fitness? Not a problem - membership not required to pick up your pre-ordered Balanced Chef meals. While you're picking up your meals - why not try out a free trial workout?